When normally, the modification of Vespa scooter more towards to maintain originality. Quite rare the builders who dared to explore their wild ideas on the Vespa scooter classic body. For example, the Pulsar Project conducted a successful modification on 1958 Vespa with the nickname Iron Horse. 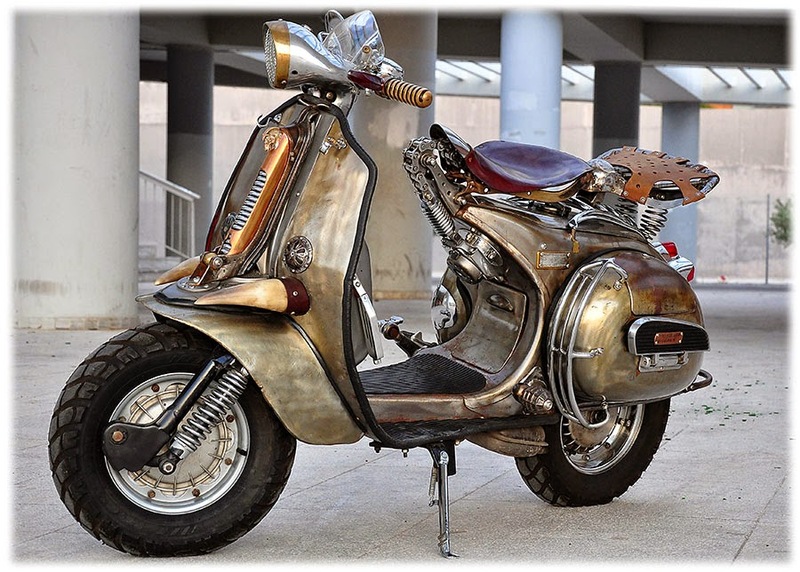 The "iron horse" term on the modification project is not just a figure of speech, because the classic Vespa scooter looks totally changed and mostly of its body uses the iron, steel, bronze, and copper which are left in the materials original color or without covered by paint. The first step taken by Pulsar Project team is removing the 1958 Vespa original engine and replace it with the engine that taken from a Piaggio PE 150. Then its legs were also replaced, where the front was taking of the Lambreta and the rear used spring suspension. While the front fender, saddle, and the gear lever is custom made. The next modification step, the team reshaped rear engine cover of some mixture of metallic materials. And the wheels replaced with a larger size, then the seat is also made custom. Pulsar Project team not forget to add many slick details on Vespa's Iron Horse. 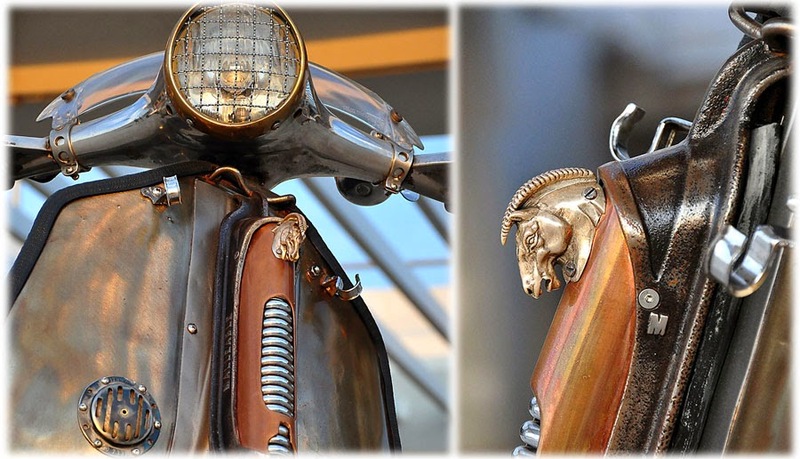 For example, in the front there is a metal horse head shaped, two objects resembling buffalo horns, chains at the bottom of the seat, horseshoe emblem, and also some parts of motorcycle deliberately made in chrome molten.